Sean and I are huge music buffs and so we put a ton of thought into what would be played at our wedding; This in turn inspired the location, decoration, food, entertainment — just about everything was intended to feel touched by old-time and traditional country. 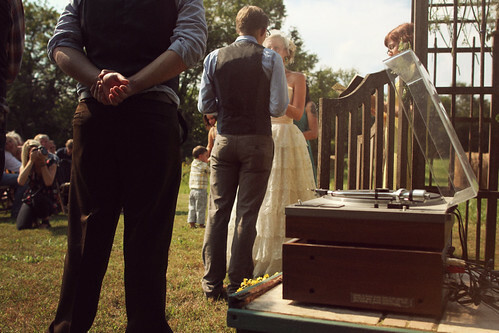 So it was refreshing to find out about Hifi Weddings where music is the main concern! The blog's author and creator, Ashley, lives in Alabama with her husband, and these two really turned their passion into a business, opening their own record store Vertical House Records. Furthermore, they recently committed to renovating an old house, and you can follow their progress here. So pretty much these people are fantastic and all-around my kind of folk.